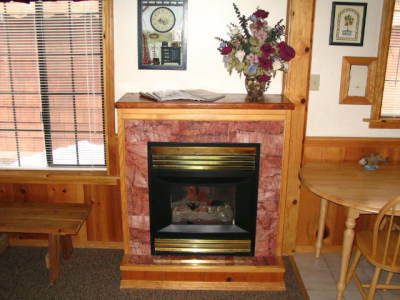 This is a private cabin separate from others that has been upgraded inside and out, with a small front porch. 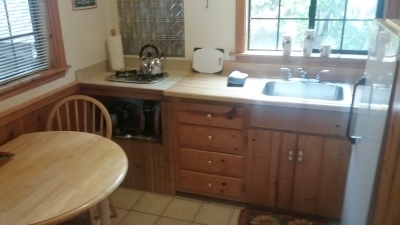 It has a gas fireplace and the kitchen, as with all kitchens we offer has all utensils, microwave, 2 burner cook top, coffee pot with coffee, toaster, and any item you might need. This room has a queen bed. Satellite TV with a DVD player. 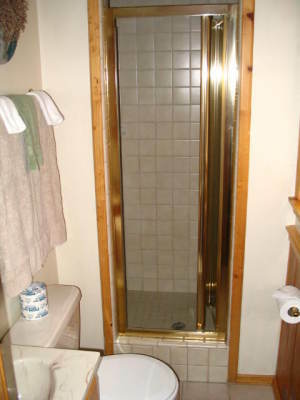 The bath has a shower and hair drier. 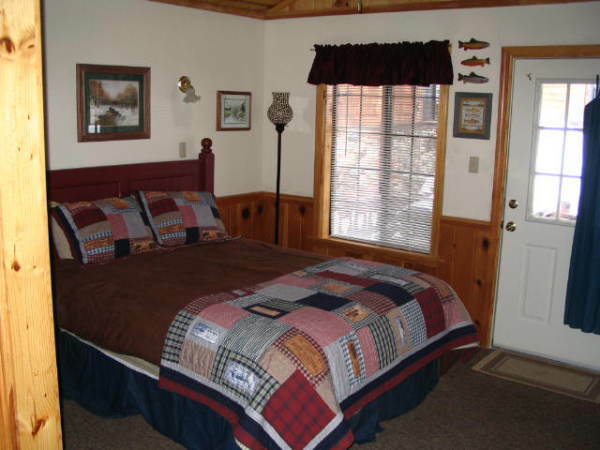 This cabin is like cabin 1 but it seems to have more room because of the vaulted ceiling. The kitchen is a bit bigger also. 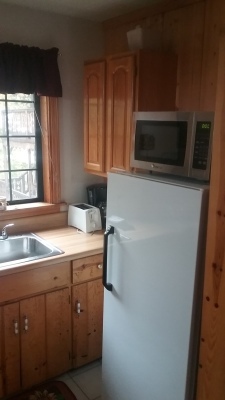 $100.00 per night plus tax.